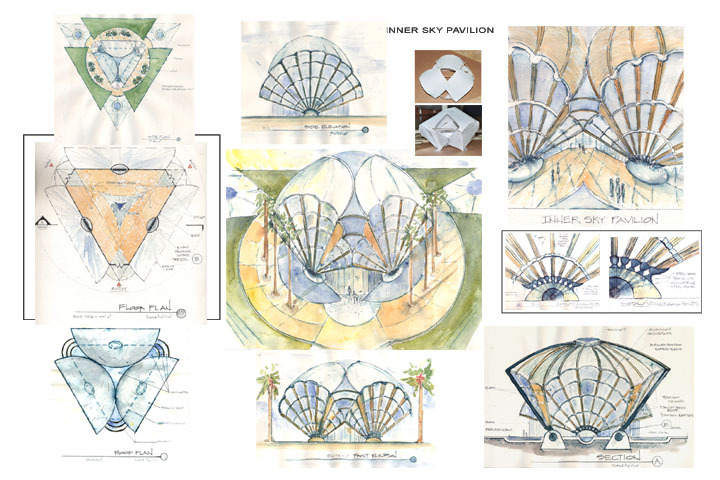 The Inner Sky Pavilion is created with three main structural points at the base and a tension ring at the top. The design is inspired both by a seashell and a blossoming flower. The bamboo poles are held together by steel and aluminum connectors as well as steel cables and reinforced concrete at the base.